Lil'wat Community Startup Incubator - Empowered Startups Ltd.
With expertise and a track record of growing the state of Startup globally, Empowered Startups is honoured to further its ambition of bringing Startup to everyone by announcing a new partnership with the Lil’wat First Nation. 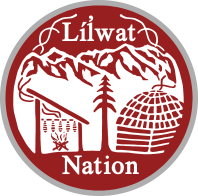 Located just north of Whistler in British Columbia, Canada, Empowered Startups in partnership with the Lil’wat community will be running a year-long Startup incubator program based out of the Ts’zil learning centre. Beginning in May 2019, the Ts’zil Startup incubator will provide training , mentorship and tools to twelve aspiring community entrepreneurs to support the launch of new businesses. The program will be comprehensive and deliver a cutting-edge roadmap, resources and guidance taking a business from initial idea through to first customer. Furthermore, the program will certify and train a startup mentor from within the community to continue to provide mentorship to community entrepreneurs in the future, with the opportunity for ongoing support from Empowered Startups. “I am honoured to be part of delivering entrepreneurship training to the local Lil’wat community through an indigenous world view and to sit with community members to help them realize their business and career dreams. I am certain that this program will support the goals of economic sustainability and improved skills and training, that the community beholds.” – Naheed Henderson, CEO of Empowered Startups Global Startup Accelerator. Empowered Startups (ES) is a business startup incubator specializing in mentoring and growing ideas into sustainable businesses. ES strives to advance the state of startup both globally and locally, while also being the leader and gold standard for transnational startup methodology, training and mentorship. The organization is a private enterprise, which also recognizes its social responsibility to enhance the stability, security and prosperity of the regions in which it operates. ES firmly believes that it is the duty of all state and non-state actors to actively participate in developing, supporting, sustaining and furthering economic sustainability. ES is designated by the Canadian government to provide incubation services to global entrepreneurs through the Start Up Visa program, and is recognized as a Designated Business Incubator.